Since 1965 Rede Globo is owned by the media conglomerate Grupo Globo, which is Brazilian television network has produced one of the most famous Brazilian telenovelas. The network has done an impressive work with the mini-series as well. But looks like the monopoly enjoyed by Rede Globo will soon vanish, as Netflix takes over the South American market with the original series 3%, that I literally had to spend my all day to watch all eight episodes available on Netflix. Now imagine, how good it must have been that I simply could not allow myself to be tortured by unnecessary wait, if I had a chance to watch everything at once? Fernando Carvalho who since childhood was in wheelchair hopes to end up in the Offshore and joins the Process. While his faith will be tested, he meets Michele with whom he develops a romantic relationship. Joana Coelho is a completely unlike many other candidates who uses the Process as a point of escaping her dangerous past, the lifestyle and tiredness of living every day for the sake of survival. Marco Alvarez is a young handsome man, who continues the family tradition to join in the Offshore. Leaving a pregnant wife behind, he hopes to rejoin his family in the Offshore. However, his true self will soon prevent him to go as far as he would love to, becoming the most unpredictably dangerous candidate the Process probably ever had. In conclusion, the entire series is full of suspense. Each episode reveals us about each candidate where we find out more about their reasons to be part of the Process. 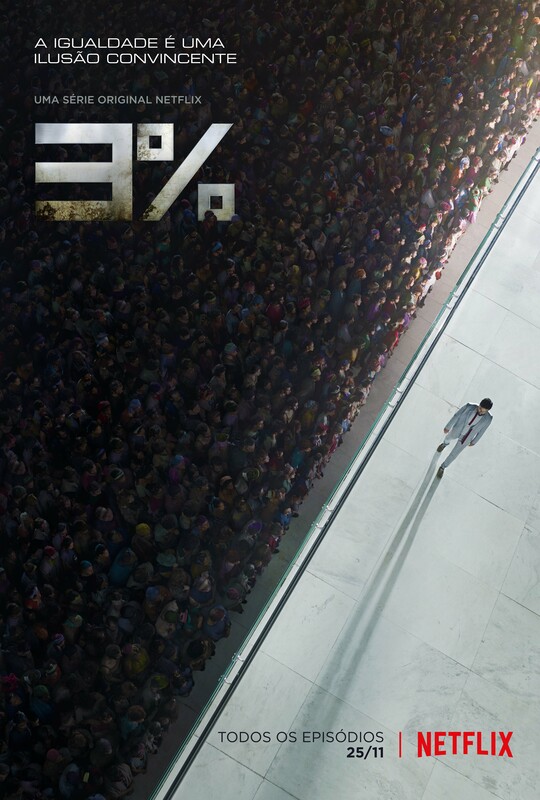 While the cinematography does an amazing job to transform you to the dystopian era, it’s amazing how the series handles such a difficult task to keep the viewer engaged until it’s over. The devastation and sharply divided society captured impressively in 3% where you don’t have much time to think about what happens in real life. The performance delivered, as usually it happens in all Brazilian TV series, are always on the top with no opportunity left to complain about. This and many other technical aspect of the Netflix Original Series makes the experience unique, incredibly entertaining, and somewhat, educational. So don’t think twice if you come across Pedro Aguilera’s 3%. Trust me, you will simply love it the way I did… And I really did.